Who is this Yankees player and why is he a cautionary tale for a current New York athlete? First person to get it right wins a copy of Daniel Kirk’s wonderful new book, Jesus Have I Loved, but Paul? Update: We have a winner! My old friend Chris Coyle got the two-parter. It is indeed Wally Pipp and the current NY athlete with cause to worry is Carmelo Anthony, who might want to work on his defense and passing skills while he’s out. Jeremy Lin is taking over! The only thing theological about all this is that the prize is a copy of Daniel Kirk’s new book, which is on its way to Chicago! Let’s go with Roger Maris? Wally Pipp. I’m assuming you’re referencing the apocryphal story about him sitting out a game with a headache, only to be replaced by Gehrig, who never gave up that position again, but the story isn’t likely to be true. He did get a skull fracture from taking a pitch to the head in practice a month after Gehrig took his spot, though (which is probably where the headache story originated). Doggone it! I was goint to say Pip too! Sat out and made room for Gehrig. Oh well, since he’s already been taken, I’ll go with George Halas who played 12 games for the Yanks before injuring his hip and then the Yanks brought in Ruth (with one player in between). 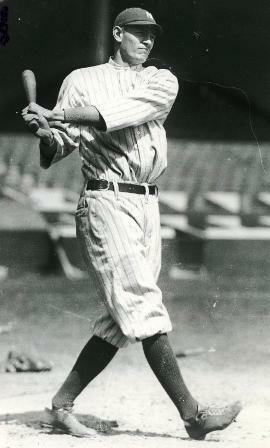 I’ll go with Wally Pipp too – who because of recurring headaches and a brain concussion – lost his starting job to Gehrig – Pip role for the rest of the season was as a pinch hitter. I bet this is a setup–probably some guy on the current Yankee roster, a bench warmer whom nobody knows, dressed (or photo-shopped) to make him look like the 1930s–right?! Lin and Carmelo don’t play the same position so the second part doesn’t really make sense, but a good bit of random entertainment for my day nonetheless. The NY Knick situation struck me as I was driving in this morning and I happened to have an extra copy of Kirk (they’re using them as gospel tracts around here! ), so I thought I’d have some fun with it. Haha, nice. Always a fan when you throw the sports commentary up on here.